ASH has been in contact with Councillor Fleury’s office to echo the concerns voiced by many residents regarding the implications of opening the intersection at Chapel/Beausoleil to pedestrian safety and increased cut-through auto traffic that it may induce on Chapel Street (as well as Beausoleil). Our ward councillor, Mathieu Fleury, has informed us that he has taken up these concerns with City Staff and they are investigating options that would address the traffic-flow problem while still also enabling an improvement to the pedestrian safety. The councillor has told ASH that there will be a public meeting within the next couple of weeks to describe a proposed solution and invite feedback from residents. ASH will broadcast the date/location of that meeting as soon as details are available. You may have received information about a meeting on Jan 13th at the Routhier Community Centre to address this same subject. ASH would like to inform its membership that this is a regular monthly Lowertown Community Association (LCA) board meeting. Councillor Fleury has a short time allotment on the agenda for the ‘councillor’s update’ and will likely address this topic to the LCA community. 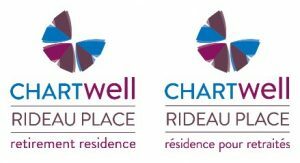 However we would like to make the Sandy Hill community aware that this is not a full public meeting dedicated to exploring in detail the issues surrounding the Beausoleil/Chapel intersection. The proposed meeting mentioned above would be the most appropriate venue for a full consideration of this topic.